Master Machine Rebuilders, Inc. (MMR) specializes in complete machine rebuilding and repair. MMR was started in 1982 by husband and wife team, Rod and Marlene Klose. Rod was born and raised in the beautiful community of New Bremen, Ohio and that is where the business began and is still located today. MMR was started in a garage and as the business grew it was moved to the Bunker Hill Industrial Park. In 2015 an expansion of 4,000 square feet was added to the current 10,000 square foot facility. 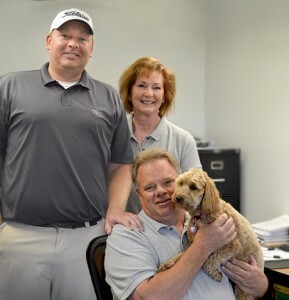 Along with the new expansion, MMR welcomed Rod and Marlene’s son, Brandon Klose, as he joined the business in 2015. MMR and the Klose’s are very proud of their skilled and qualified employees, and the combined years of experience together they offer their customers. MMR’s reputation is our reputation and it is very important to us! MMR is a community-minded business involved in our local Chamber of Commerce, a Better Business Bureau member, and a member of the National Federation of Independent Business.